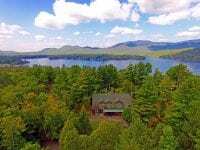 This historic road accessible, year round Adirondack Great Camp is located on the east shore of Lake Placid in Lake Placid, NY with 245 feet of waterfront. The house is perched majestically on a hillside presenting spectacular lake and mountain views along with breathtaking sunsets! There are 13 bedrooms, 7 full baths, multiple custom stone fireplaces, original woodwork throughout and plenty of space to relax quietly in a window seat while reading or to just sit and admire the beauty around you. The front entrance has a large enclosed front porch and there is a covered 90 foot long porch that spans the back of the house facing the lake. A sweeping professionally landscaped yard leads to the boathouse perched on the lake shore that contains a bathroom and 4 enclosed boat slips. 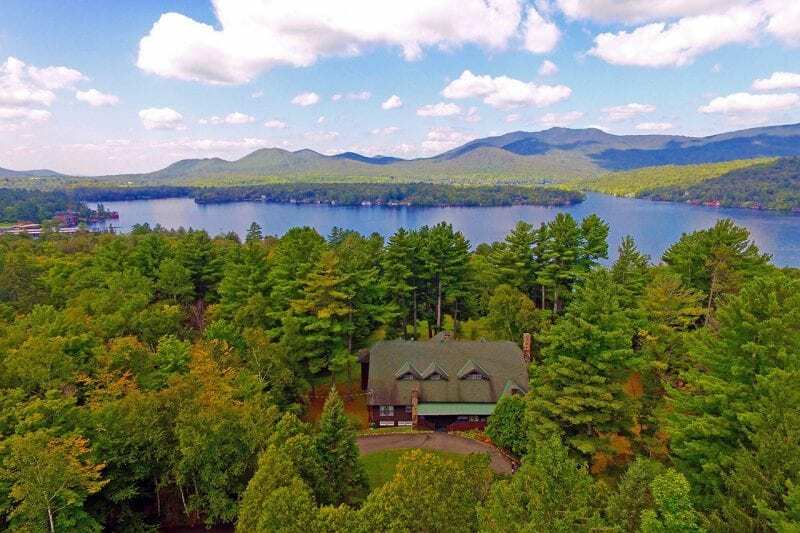 This very private property is also located within walking distance to Lake Placid Main Street with shops and venues and is just a short drive from the famed ski slopes of Whiteface Mountain! Catch a movie, go to a play at the local theater, explore, hike, mountain bike, ski or participate in one of the many outdoor recreational activities offered locally or stay home and enjoy the comforts and beauty of nature in your own back yard!